The news for the NSA (National Security Agency) spying surveillance has been featuring on the internet and newspapers since quite a while. The whistle blower Edward Snowden leaked the biggest intelligence blunder. He unveiled that the US government has been spying on emails, chats, Skype calls, searches and all the other electronic communication preferred by the people over the last few years through the PRISM program. This news took the world by storm, as this initiative of the NSA was powered by some of the leading tech giants in the world. The spying act is supported by Apple, Facebook, Google, Yahoo, You tube, Microsoft, Skype, AOL, PalTalk-perhaps participated unwillingly. It is believed that NSA is having the direct access to the server of these companies. However, most companies are denying these charges. No matter what the outcome or in which direction this tornado is moving, one thing is for sure, users are the victim of the identity theft. For some users, it won’t make much of a difference, but for some it would mean a lot. Thus, as an internet user you need to take precautionary moves to protect your personal information from getting compromised. But, you may wonder that companies talking about security and encryptions are all responsible for PRISM! So what ensure my security on the web? Here are some precautions you can take to avoid NSA spying surveillance. Over the internet, your activities can easily be monitored by anyone standing between you and the site you are looking for. Under these circumstances masking your IP address would be the best possible alternative to avoid getting spied. There are two ways of protecting your IP either by using TOR (The Onion Router) or by connecting to the internet with a private network VPN (Virtual Private Network). These tools make your traffic anonymous by bouncing via a network of numerous routers before reaching the information you are looking for. Every trip through these tools provides another layer of protection. TOR was originally developed by the US military. It is believed to provide a higher level of security to your presence on the web. TOR is so sophisticated that even criminals have been utilizing its security. You need to encrypt your emails or any other electronic communication on the internet. You need to encrypt the connection from the email provider, your email messages, your archived, stored or cached email messages. You need to consider using a secure email service. An unencrypted email can be read by just about anyone standing between you and the recipient. The email messages can be read by anyone who is tapped into the fiber optic cable passing the message around the globe. Encryption is highly regarded and recommended by experts as they scramble messages in transit. This makes them unreadable to anyone trying to read it. You need to protect your internet session by using a VPN. Irrespective of the number of sessions you have on the internet, VPN would ensure security 24/7. This service protects your sessions on the internet by connecting your internet activities with the external server. 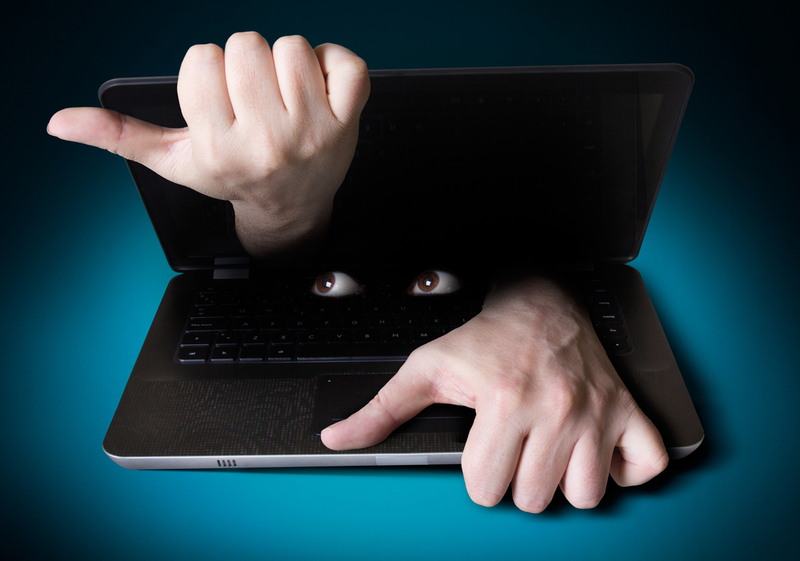 All forms of spying can be protected by using VPN. But, there are exceptions; you cannot avoid some of the mega-servers. For example, even if you are having VPN, your chats on Facebook will be captured as you are logged in. You can switch to other mediums for your searches that do not record your IP address. Many independent hosting and email service providers are already changing the way they provide services. They are trying to mould their services on the basis of this spy grid. You can opt for companies providing email services supported by their professional and dedicated e-mail server systems. You can send e-mail and chat completely off the grid in a safe and secure environment. Finally, if the PRISM program has given you sleepless nights, simply give up on search engines like Bing and Google, try DuckDuckGo instead. Experts believe that this search engine does not store or track your searches (it only stores anonymized searches to give better search results to visitors). This would provide some degree of confidence that you are not being followed. According to the report from Guardian, the PRISM program is expanding and for now DuckDuckGo is the best alternative of Bing and Yahoo. These are some of the practical precautions that can give you resilience from the PRISM program up to some extent. The inclusion of above mentioned tactics are effective but only a precursor to privacy activism. I did come across ways on the web those promise of rescuing you from being spied. But, on analyzing the possibilities they all seem to be futile. Things like ditch your smartphone, cut up your credit cards, don’t keep your data with the Silicon Valley tech giants and deactivate Gmail or Hotmail accounts. There are so many firms globally using Gmail and Hotmail as a part of their communication infrastructure. Then we have credit cards, which is the mainstay of the world’s payment system, and smartphone that is the need of the hour. Considering the importance of these technologies, it is important to take basic precautions rather than blaming others after the identity theft. Since, there are competent options available on the web; there is no point in using Chrome, IE or Safari to fulfill your surfing needs. The PRISM program is not something new and is showing no signs of stopping. Under these circumstances, it becomes imperative for you to act responsibly.